A small profit margin usually corresponds to a short time in the trades, which in turn leads to a high rate of opening orders. In another way, this method of trading is called “scalping” – a trader makes precise short lengths and shallow “profit-cutting” cuts in the market. The strategy is popular for using “short stops”. The financial losses of losing trades are low, a large number of orders allows you to “beat off” the arising losses, leaving at the end of trading sessions “in plus” almost every working day. “Pipsing” in connection with the transience of trades quickly checks and eliminates trading systems, one working day “imitates” a segment for a medium-term strategy, a week long. Pip is the minimum step (change) in the price of a currency pair, the size of which is specified in the specification, located on the broker’s website. A pipser is a trader, working on a strategy that provides for closing orders with a profit of several points (pips). According to the theory of graphical analysis, it is known that the candlestick formations, Elliott waves, Fibonacci figures, etc. are valid for any time interval of change of quotations (candlesticks, a bar). Many scalping strategies are the adaptation of known mid–term and long-term trading systems. Skills of entering the market, worked out by the pipsing users, lead in the future to accurate inputs with minimal losses in all trading systems. The high frequency of trades and close protective orders, which are located near the entry point, give relatively low performance, positive expectancy (the predominance of closed in plus orders), as a rule, no more than 65%. The preponderance in profits is achieved by the number of trades which carry a serious psychological burden on trade, the profit curve is similar to a cardiogram, “dives” into the positive and negative areas during the session many times. “The main enemies”, which disperse the attention of a “pipser”, are: successively losing trades and mistakes related to the “human factor” – their own mistakes, which caused a loss. A trader, who pips manually, needs to rely on general rules for opening orders, based on knowledge of the characteristics of changing the quotes of the pair. Events which are distracting from these aspects (greed, annoyance, regret, etc.) lead to increasing losses, which can no longer be justified by future profitable transactions. If the bidder is unable to control himself, you cannot continue trading! The measure of such an event will be unprofitable trades in a row from “slips” of a trader. Traders who have visited the Tibetan monasteries and comprehended the techniques of “withdrawal into themselves” to seek equilibrium, are easier to psychologically adjust to the upcoming trading day. Someone uses the techniques of neuro-linguistic programming, but one can also use a simple approach – if possible, remove “irritants”, thereby limit the losses. The errors of pipsers are written down, repeated errors are learned as rules, concentrating on getting rid of them. In a short-term strategy, the trade lasts for a minute, a second. Improvisation will result in a worsening of the result, without even leading to a one-off loss, time will be missed for which it was necessary to make other trades without concentrating on one. The profit provides 10, maximum 15% of the advantage of profitable trades over negative ones. Pipsing is sensitive to any deviations from the strategy. Mid-term and long-term trading systems have a stock of time, while in a position, a trader can improvise, rearrange the stop, fixing a profit prematurely, or, conversely, without setting a stop, overstay a loss or not close a lucrative position, taking the trade into a bigger plus. Changes in the strategy are possible after testing a new algorithm “offline” on the trading terminal tester or manually. Many trading principles based on VSA are not amenable to change at all, in this constancy is the “strengths” of scalping trade, turning it from the category of strategies into tactics that do not require test confirmations. The attempt to disprove or modify the scalping tactics, which have been developed for decades, will lead to an inevitable negative result. In almost all cases of discontent with the existing system, the culprit is inadvertence and slowness of the trader. Before making any changes and looking for new strategic techniques, a trader must conduct an analysis of his own actions. Many materials have been written on thematic websites and forums about the benefits or harm from using demo accounts. Fans of demo-trading claim the following: “Demo accounts are testing the strategy.” Such “testing” is a thoughtless waste of time. The Metatrader tester much more quickly tests a large section of historical quotes, as well as individual, interesting moments, for example, trading sites in the economic crisis. The effectiveness of the strategy depends on the symmetrical distribution of historical data on market conditions – flat, trend, high and low volatility. Demonstration trades do not provide such a sample. 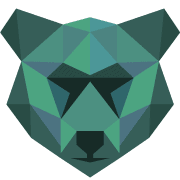 Before testing, the trader must formalize the rules of inputs and outputs, creating a full automatic algorithm, otherwise the test is impossible. At demonstration trading, the indicator signals are developed manually, there is no incentive to order the strategy algorithm. Testing produces results according to the size of the drawdown, the expectation (the number of profitable trades). These parameters are constantly checked in real trading to see the moment when the strategy starts to bring only losses. A trader, seeing deviations, makes a decision on optimization or change of strategy in advance. There is no such data after the demonstration trading. Trading without indicators, conducted manually, is categorically contra-indicated in the demo account. Decision-making on the trade is based on relative concepts of volume, movement size, behavior of quotations near important levels, etc. Human consciousness is associative and self-deceptive, the “excitement factor” in real trading forces one to perceive the same data in different ways, depending on the location in the transaction, current losses, the desire to “recoup,” rush and greed. There are such feelings during demonstration trading, or the mistakes made through the fault of excitement are forgotten. It is not necessary to completely refuse from the demonstration account. 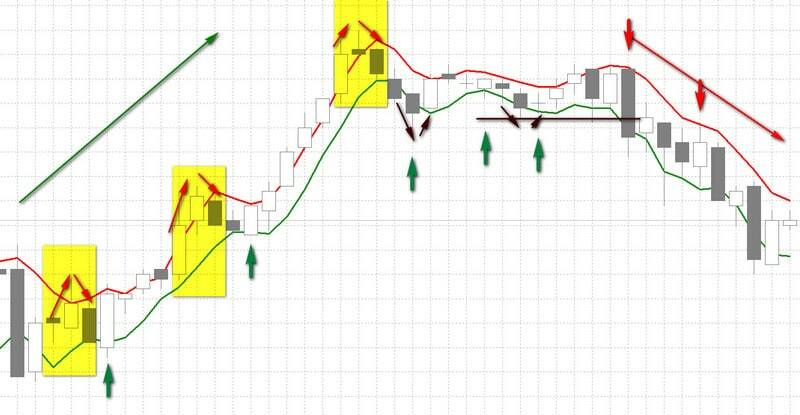 Pipsing involves quick one-touch trades, which must be finished with automatism of “muscle memory”. It is necessary to train to open trades on a demo account without a race for effectiveness. If additional equipment is used, by the signals of which trades are opened in MT4 through a bundle, the use of a demo account to verify the operability is mandatory. The same applies to all Advisers: opening and closing of trades is checked on demo accounts with the control of the “journal of logs”, imitation of communication disruptions and power outages. Forex brokers work on the basis of a license issued by the country’s regulatory authorities at the place of legal registration. Regulation ensures the safety and return of client funds, legal supervision of the company. Companies have several licenses to work on the territory of different countries. Priority in choosing a broker is given to a “local license” issued by state bodies in the national jurisdiction, further on the jurisdiction and regulation in developed countries, “civilized” offshore (Cyprus or British tax-free zones) is welcomed. The type of account determines the possibility of pipsing. When choosing a broker, scalpers pay attention to the list of “liquidity providers”. The international interbank Forex market is spread among the Central Banks, investment funds, financial institutions, customers, allowing to pay a minimum amount for a lot of several million dollars, taking into account the absence of a shoulder in this market. The international Forex market dictates the course. Special agencies are responsible for the precise distribution of these values, banks and funds are ready to buy/sell at these prices all offers from customers of Forex traders. Such financial institutions that purchase and sell currency, creating a “personal” interbank Forex, are called liquidity providers. The more significant the brands and the number of suppliers, the more liquid the interbank currency exchange market at the broker. The account type must be with a floating spread. This is savings on the spread and a guarantee of the withdrawal of trade orders on the interbank market of liquidity providers. The trading platform should not have delays when executing orders – trading orders must be processed automatically (this is the ECN account type) or go directly to liquidity providers with a choice of “competitive” (best) execution price. The latter technology provides a spread equal to zero (the purchase and sales price coincides), when one liquidity provider has the best selling price of a currency pair equal to the purchase price of another supplier. Order processing directly reduces the processing time of the trade order, the best price selection technology removes the problems of “slippage” – the deterioration of the price after sending the trade order to the broker’s server. Accounts NDD, ECN, STP allow you to save on the costs on spreads. Gross earnings of a pips user for the session reach up to 100 pips. On typical accounts with a fixed spread, each trade on the EURUSD pair would take an average of 1 pip, which is 20% of the cost. With the addition of the losses to them (approximately 35 pips), the scalping strategy becomes unprofitable. Scalpers, who use advisors in trade, depend on the speed of the Internet provider, stability of the Forex trades’ servers, power outages. 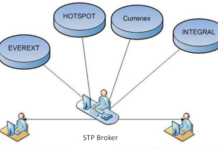 In case of loss of connection of the trading terminal with the server of the broker, the robot “loses” control over the positions. Placement of an expert on the servers of data centers helps avoid these problems. If the company provides VPS services, it is worthwhile to use it. Thus, by managing the account remotely, the trader is guaranteed to be protected from the above mentioned problems. Certain methods of pipsing require the “close setting” of delayed orders from the current prices. Brokers on certain types of accounts in the MetaTrader4 trading platform are limited to the minimum number of point which is necessary to take into account and view the specifications for the account. If the trader is going to “pip”, setting stops, leaks and entry levels with such a limitation will either take a long time or make it impossible to use the scalping strategy. Novice traders believe that buying a robot will save you from psychological problems and manual trade mistakes. The “Miracle Advisers” are treated as a device for continuous earnings. Automation will not save you from the compulsory education phase, the purchase of the Advisor by an unprepared trader will bring him more problems than long training in manual trading skills. Scalping can be programmed using the built-in language platform. The strategy should be based on the indications of indicators that issue trading signals according to a certain algorithm. After the testing, the written Advisor is run on a real trading account, a trader can only observe and analyze the results of trading, comparing them with the test to monitor the efficiency of the strategy, or sell the ready pipser to those in need. Automation will not help novice, he will not be able to check the Advisor in the tester to understand and evaluate the purchase, to understand the reasons for the drain (software failure or strategy error), to monitor the current work. Manual trading is recommended as the first step, which will help to learn both trading and discipline, to study the market and choose the tool. A pipser does not trade many currency pairs, studying, as a rule, one or two. Over the years, some features of the currency movement allow to further increase the efficiency by “playing out” features of the same type of movements and currency reactions to news or time of day (the opening of various world exchanges). Having worked out the rules and algorithms in the process of trading, a trader can write the algorithm himself or make a technical statement for the programmer. Unfortunately, algorithmic trading is limited by Boolean logic, which does not fit in the scalping strategies without indicators. Therefore, some pipsers always trade manually, without using advisers and indicators. The measure of the correct choice of style and type of strategy is the amount of profit on the deposit. Figures do not lie, objectively assessing the trader’s efforts. The effectiveness of pipsing is increased by intraday micro-brands, depending on the time factor of the activity of bidders. 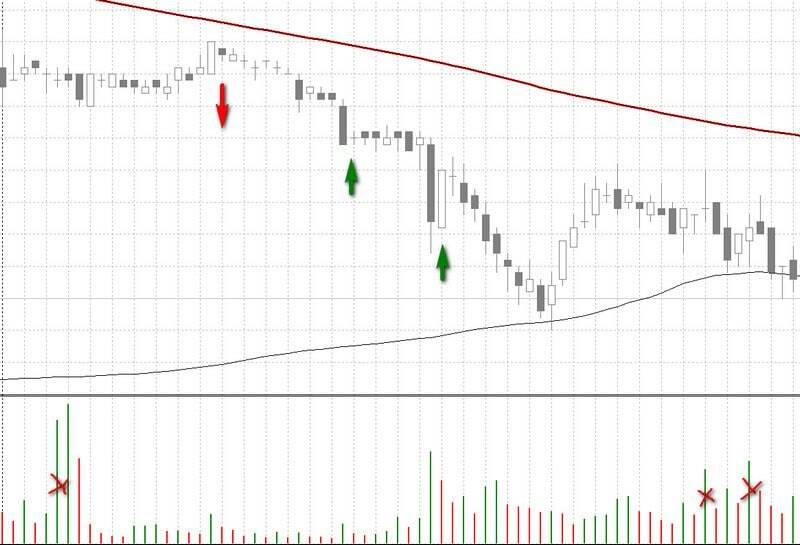 One of the main tactical methods used by scalpers is trading at certain time intervals. The duration of the trading session for currency pairs is 24 per day. Directional intraday traffic is provided by a large number of bidders, whose activity is monitored by the increased number of transactions using the volume indicator Volume. This is not the only way to measure activity, any volume indicator or volatility meter (price spread) is suitable, but experienced traders approach this issue in a different way. The activity of bidders coincides with the time and the first hours of operation of the stock exchanges of the country, which includes the currencies that are part of the pair. EURUSD is active at the opening of the London Stock Exchange and the North American exchanges. Given the daily turnover of the US stock exchanges, their opening affects all world markets – this is an unambiguous time for trends. Tactics can be varied: novice scalpers use the pair USDJPY in “night trading”. The volatility of the pair is leveled by the lack of activity of traders during these hours, but it is sufficient for “catching pips“, the movement of quotes remains in a certain corridor (flat), determining which the trader avoids the error. Traders have session indicators which allow you to set reminders and start and end boundaries for sessions as desired by the user. If the micro-trend is a scalper’s friend, the volatility (strong price fluctuations in both directions) is an enemy. Strong fluctuations in prices in both directions lead to premature “triggering” of the protective stop-loss orders. The spread of prices cannot be predicted, an increase in protective stops leads to an increase in losses, the rules of the strategy are violated. This makes it difficult to implement a correct forecast of the direction of the price, so traders avoid trading at the time of news, if this is not provided for by the strategy (trading on the news). Each trading session begins with a study of the calendar of current economic events. Important news, such as the GDP data, unemployment, decisions of national central banks on interest rate changes, etc. – all this can affect the previous part of the session. In anticipation of changes laying long-term trends, traders can make few trades, holding speculation till the news release. In this case, the opening of world exchanges will not lead to the formation of micro-trends, and scalpers do not trade. National holidays are a special case. Any events, which “pull” out of the US and Eurozone traders market, serve as a signal for pipsers to prohibit trading activities these days. The opening of national exchanges after a long weekend in the moment causes a “tide” of significant financial resources to the markets, so it equates to “news”, during the first hours and at the time of the start of the auction scalpers do not participate in the current auction. The initial level of pipsing involves the use of “cent accounts”. A small amount of the initial deposit will protect the novice trader from losses, the high profitability of the mastered strategy will disperse the depo itself, suggesting a low level of subsequent investments from the trader. This tactic applies to intraday trading. If the trading session starts with losses, they will be minimal, whereas the trade in a full lot will bring discomfort from the first minutes of the session. Small losses will not encourage the scalper to “beat off at any price” and influence subsequent trades. The amount allocated to the “working lot” is divided into several parts, a minimum of three. Trading begins with a small lot, increasing with each profitable trade. 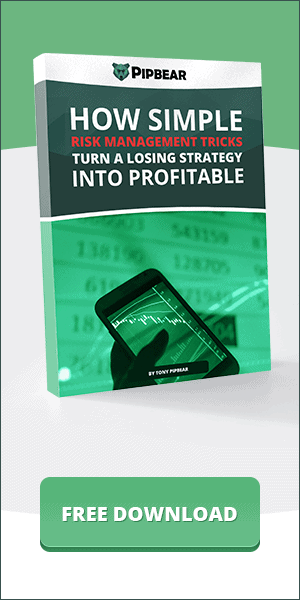 Tactical approach of trading with gradually increasing deposit reduces losses. There are sessions in the beginning of which a trader did not take into account all the fundamental factors. In the process of trading, lack of activity will cause minimal losses, inevitable in the absence of trends. A scalper trade provides for the mandatory setting of take profit and stop loss. Otherwise, without the latter, taking into account the “accelerating” lot size, there is a great risk to lose the entire deposit by the evening – if the price did not wish to go to the take profit and went into the opposite direction from the forecast. The risk on the transaction as a percentage of the depot can be from 1 to 20%, depending on the ratio of profitable/unprofitable trades, entry into the market by one order exactly, like a sniper, or a grid of orders for averaging the position. The size of the deposit of a pipser usually does not exceed several hundred dollars. Deposit for a trader is a tool that allows you to “squeeze” the maximum from the market, so the used margin leverage should be the most that the broker provides. If the shoulder is 500, we take it, if it is 1000, we put it. 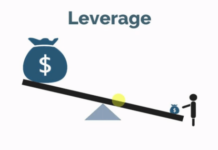 The larger the leverage, the less money will be left in the pledge when the trader opens the position. But you should always remember that there should be at least 15-20 trades in the stock, having made mistakes in which (after stopping the loss) we will lose the entire deposit. No one is immune to errors, especially in trading. The trade is necessarily limited by the “retention time”: the realization of the predicted traffic is taken from several minutes to several hours. Positions are not held for days and weeks, as when trading on D1. 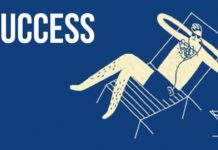 As a rule, by the evening of the working day, all trades have already been closed, and there is a certain result reflected in the points and percentages of the deposit. Larry Williams in the book “Long-term secrets of short-term trading” described a ready-made scalping strategy, the trades under which are made on time frames from five to 15 minutes using currency pairs and CFD contracts. There are two indicators in the trading system: simple three-period moving averages, built on the highs and lows of candles. Having established the extremes of quotations fluctuations according to the Larry Williams method and the direction of the trend, the inputs are made at the intersection of the moving average on the rollback from the directed movement, if the trend remains in effect. Defining the highs, Larry Williams took three candlesticks in the middle with the maximum value of the “tail” and the prices of candlestick closings left and right below the closing price of the average candlestick. Exceeding this maximum was considered a key to continuation of the trend, while quotes did not exceed the minimum determined in a similar mirror image. Out of the three candlesticks, a time frame with a minimal tail in the middle and closing prices of candlesticks on the sides exceeding the minimum candlestick was selected. The second strategy involves the use of five RSI indicators: 5, 7, 9, 14, 21 are the periods on a five-minute interval for all currency pairs. The entry is based on the reverse intersection of the level 60 for the purchase and 40 for the sale of all five indicators. 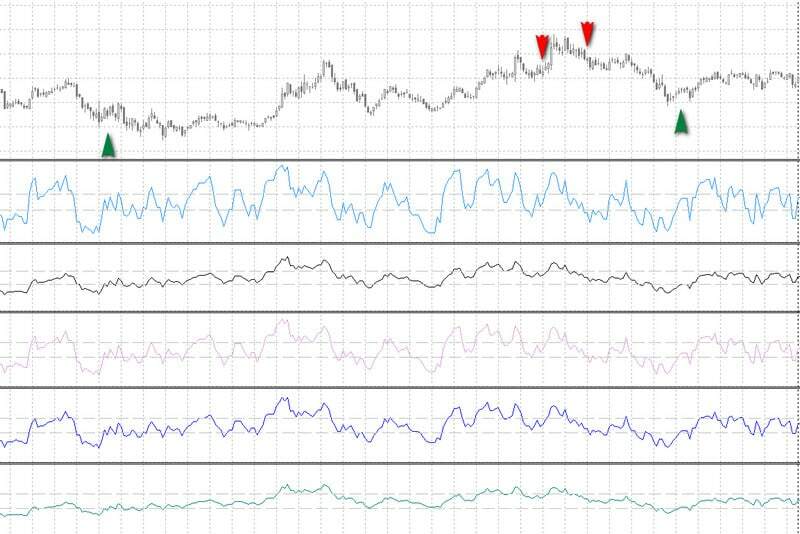 The main signal for readiness to buy comes from RSI 21, after the indicator curve drops below 40. The transaction is carried out on the turn and rise of the curve above level 40, if the readings of all the other four RSI are below 60. 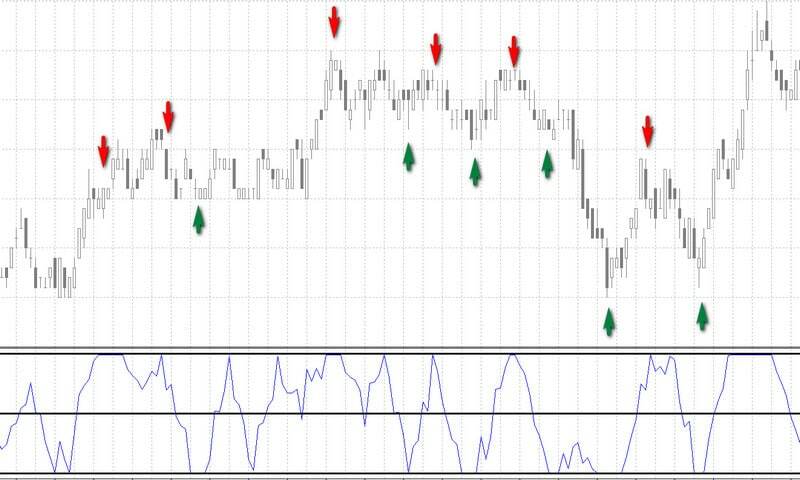 Sale occurs at the back crossing level 60 RSI 21, with all four remaining indicators RSI should be above 40. Trading on impulse volumes includes adjusting the Volume indicator and analyzing the size of the candlesticks. The body of the candlestick is estimated, two three times higher than the previous ones, which coincides with the anomalous, unexpectedly increased volume. The strategy is conducted on candlesticks no less than fifteen minutes, countertrend, buying on the fall and selling on growing candlesticks. For beginners, the Laguerre indicator, which outputs signals of type 0 and 1, is suitable. Having set level 1 – when the indicator of this line crosses up, the trader buys a currency pair, if the previous value of the indicator was 0, sells, when the indicator crosses the line 0 down, if the Laguerre has reached one. Re-entry for sale is permitted if the indicator is returned to unity, not suppressing 0,5, re-purchase occurs at a drop to zero, not exceeding 0,5. The size of the time frame is from five minutes; currency pair – any; The trading time and the level of stops and take profits is selected based on the general recommendations for managing the capital. Avoid trading during the news. For pipsing, large and sharp movements of the price are extremely harmful, since they can lead to slippage of stop levels, and the strategy itself lives at the expense of more microprofits. Previous articleHow to Use Accumulation/Distribution in Forex Trading? Next articleHow to Trade Fractal Breakout on Forex? What a great capture. It’s so helpful. this strategy works well with those who ratify their trading strategy according to pips.